Apple Watch may be a handy accessory in some cases, especially when you feel uncomfortable to reach for a smartphone. They could be comfortable behind the wheel, but to communicate with them required two hands. Not very safe while driving both hands to use for communicating with the gadget. In the Apple hadn’t thought of that allowed Satechi offer the perfect accessory for owners of Apple Watch, which are often in motion. 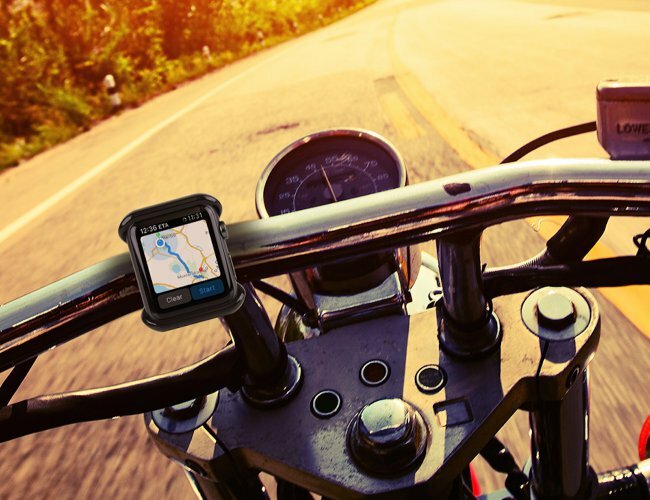 Satechi Apple Watch Mount — this compact mount, with which Apple Watch can be conveniently placed on the steering wheel of a car, motorcycle or Bicycle. In the latter case, the clock will be very similar to keep them compact but the display would be able to tell much more. 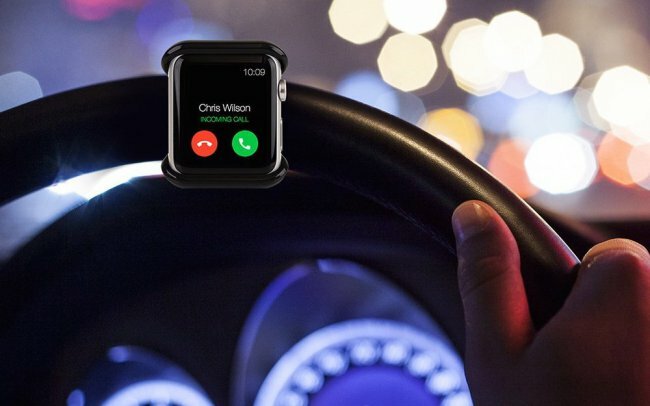 With this holder the Apple Watch can be positioned in the most convenient place for you, and completely to free one hand, which is better to hold on the steering wheel. You will need to remove the strap from the watch, the Apple Watch set into the mount, and together with them mounted on the handlebars, or on anything that has a similar form, for example on the handle of a stroller. You can rotate the mount, choosing the best viewing angle. In other words, everything is very convenient, but not without problems. This accessory is not very suitable for those who need to use the password on the clock. Since Apple Watch will not be on your wrist, you will have to enter the password every time you want to see something on the screen. If you forget about it, then the mount from Satechi is the perfect accessory, and it costs only 14,99 dollar. How long AirPods can work really?